Ok, I know that the site is going to get pretty fragrance-orientated this week, but bear with me, they are all absolutely super! 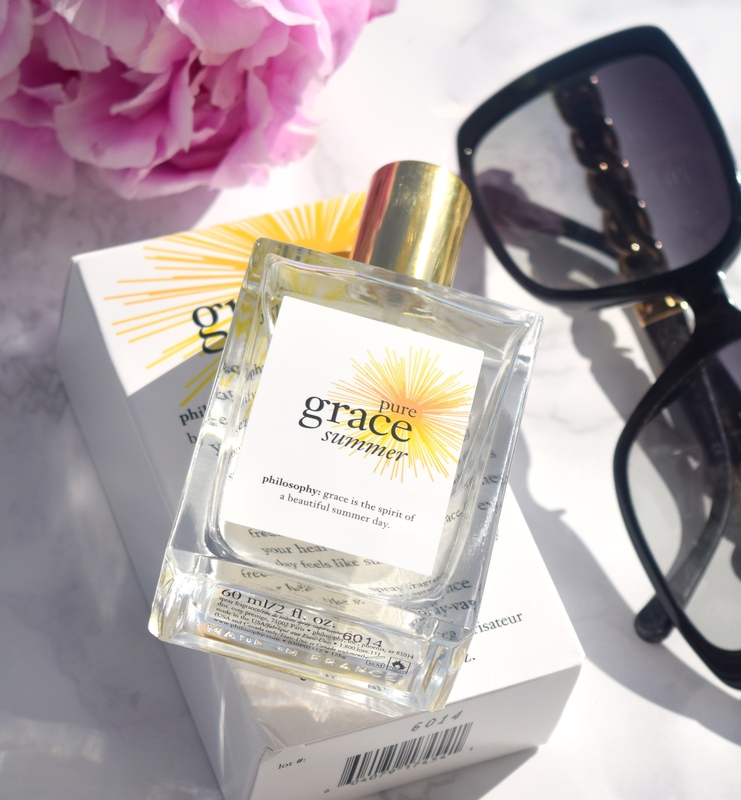 The only one that’s a real girly one is the newest offering from Philosophy with their Pure Grace Summer eau de toilette, which really is a summer vacation in a bottle! 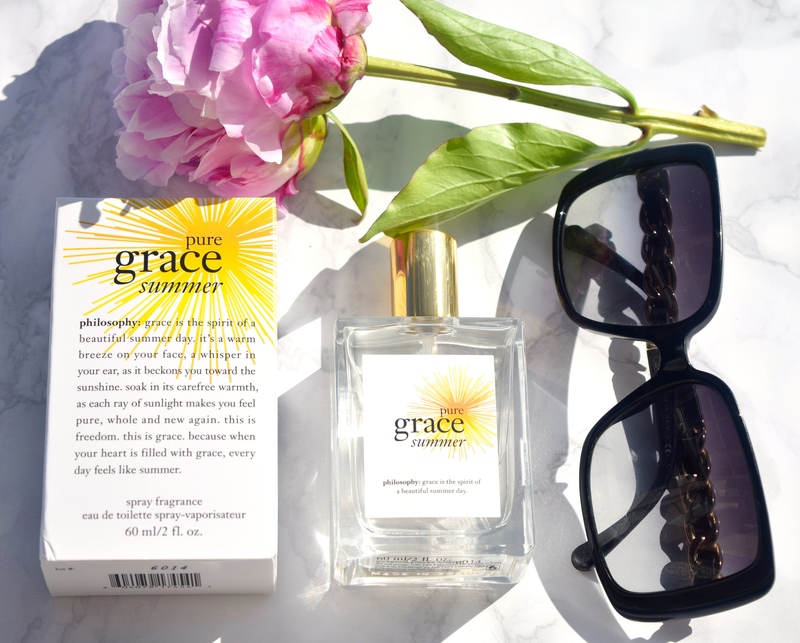 Packaged in a chic, rather minimalist glass bottle, Pure Grace Summer feels absolutely perfect to wear throughout balmy summer evenings. This is one of the rare perfumes I think smells better worn on the skin (as opposed to being spritzed onto clothes) as I think the body heat just gives it a little something extra. 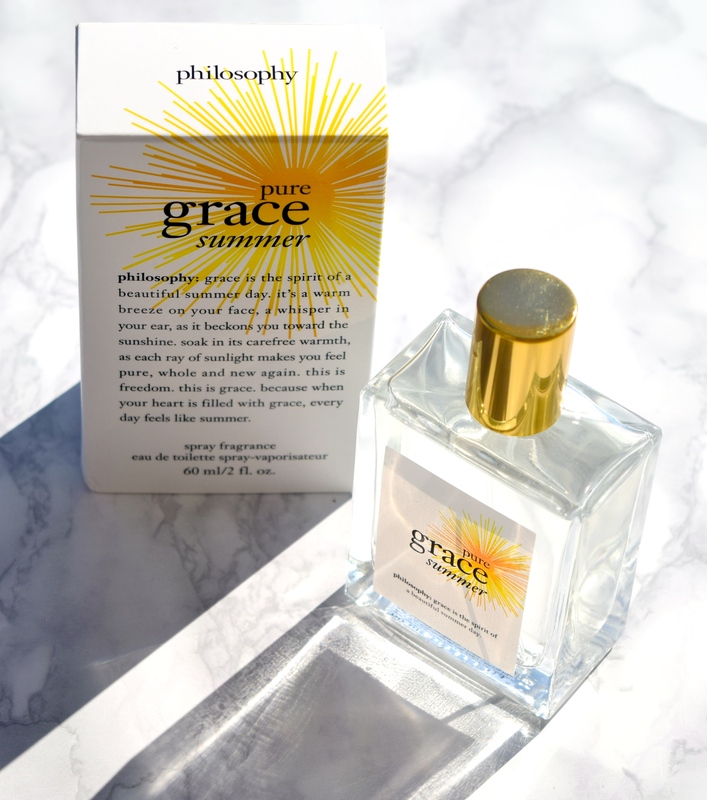 At first application, Philosophy’s Pure Grace Summer just smells of warm summer nights. 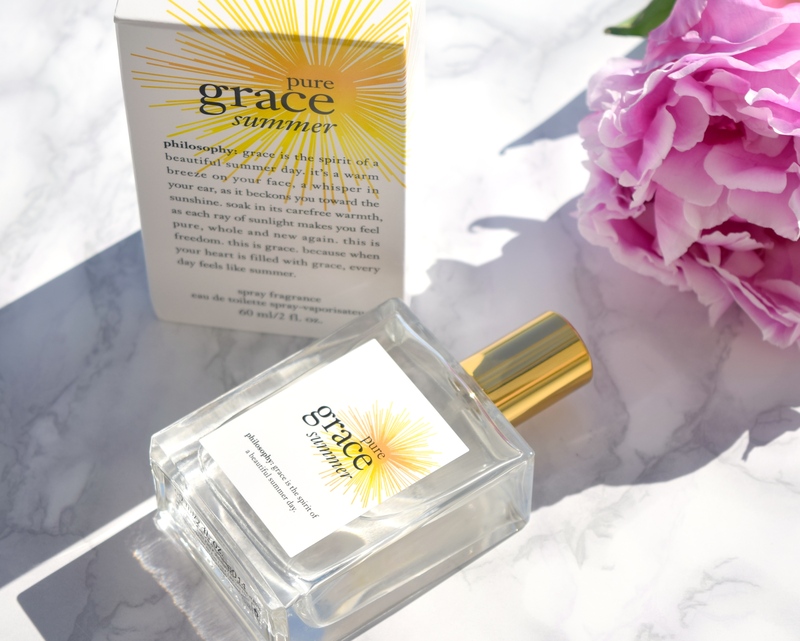 When first applied, the notes of coconut and solar musk are the most noticeable. It smells just like long days at the beach, and I love how it just feels so transportive to wear! Then, as the fragrance warms with the skin, it settles into a reassuring mix of coconut and citron with a touch of vanilla. It’s so beautiful and smells just like your perfect day at the beach! My only little quibble would be that it does tend to fade away after three or four hours, but the bottle isn’t too big or heavy, so I can easily just pop it into my handbag. I feel like Philosophy have absolutely hit it out of the park with this scent. 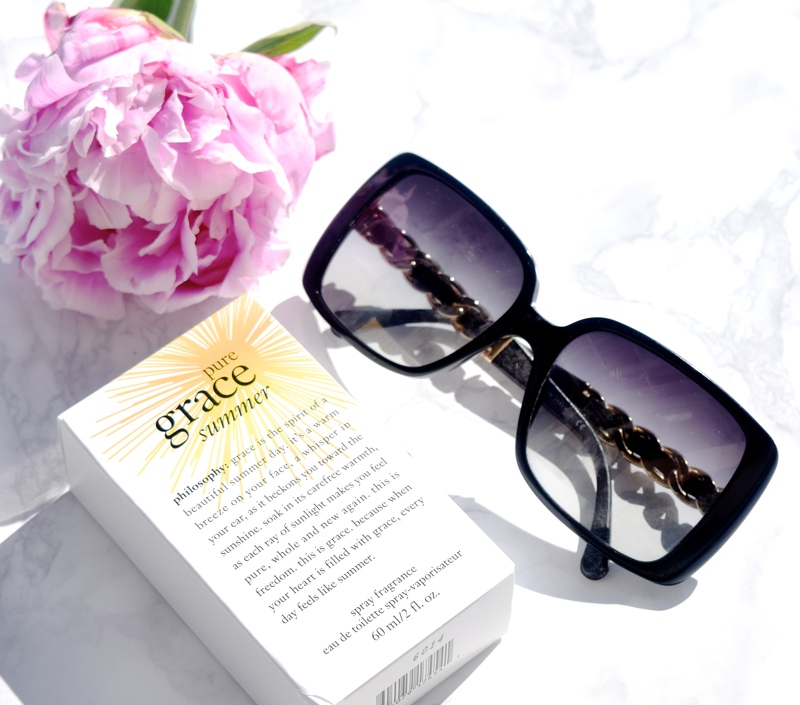 It’s a wonderfully wearable scent that feels like such a treat to wear!